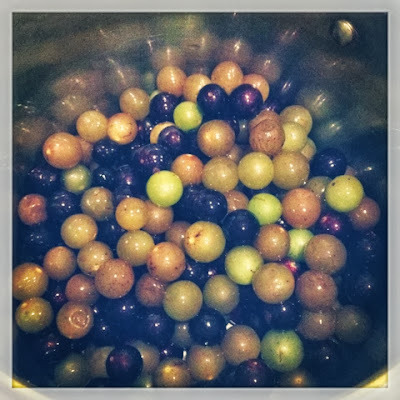 Yesterday, I got my hands on some Scuppernongs. Don't know what Scuppernongs are? Well, they are a variety of muscadine grapes that grow well here in the South. They have a slightly thick skin and are much larger than Concord grapes. They also have several seeds inside the skin. In this picture, you see there are some purple Muscadines as well as the Yellow/Greenish Scuppernongs. To render juice, it takes several steps. Fill a pot with your fruit and a tiny bit of water. My husbands grandmother says to put just enough in there so you have something to work with, but not so much that the juices are totally diluted. Begin heating the fruit and water. 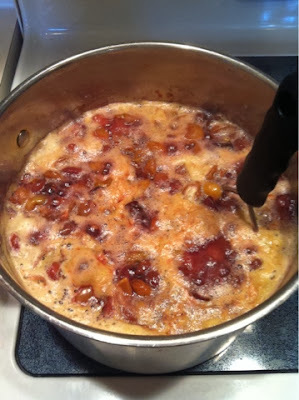 As it heats, you can use a potato masher to begin mashing the grapes so you are able to get all that juice. As it goes, you will see that it takes on a bit of a purplish hue. 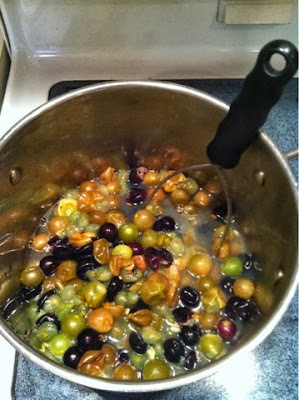 This batch was the one with the Scuppernongs and the Muscadine mixture. It was the only mixture I had. The rest were fully Scuppernongs. You want to separate the pulp from the juice. I used my handy food mill for this. Sorry, I forgot to snap a pic for this step. 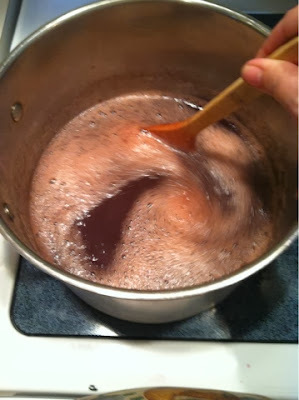 Once you strain add your juice to the pot. Now you are ready to proceed just like you would to make any type of cooked grape jelly. Several steps, but easy peasy. 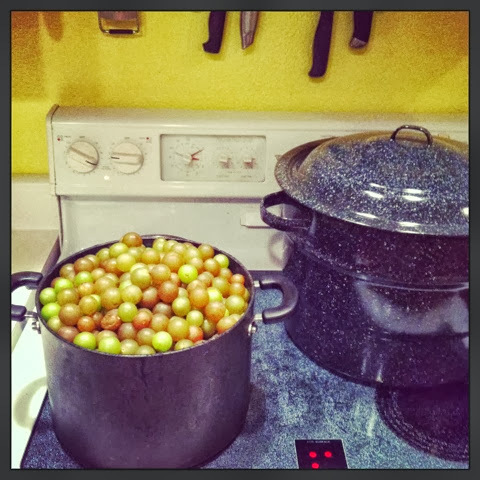 If you can get your hands on some Muscadines, do it. They are delicious and make great jelly, cider, syrup, juice... the list is endless. My plans are to start several vines in the spring along the fence line here on the homestead. I have never heard of scuppernongs. We don't have much for wild grapes up here. I wish...Oh well. I guess you really do learn something new everyday. I had never heard of these before. It looks great. Grapes don't grow wild where I live.